Bach or holiday home, 5 Bedrooms, - sleeps up to 10 persons. The perfect holiday spot, comfortable, sunny, warm and great to share with Family for those special occasions and sporting events. Be right on the spot for all of Taupo's events in this comfortable Family bach. Relax and unwind with friends and Family without the hassles. 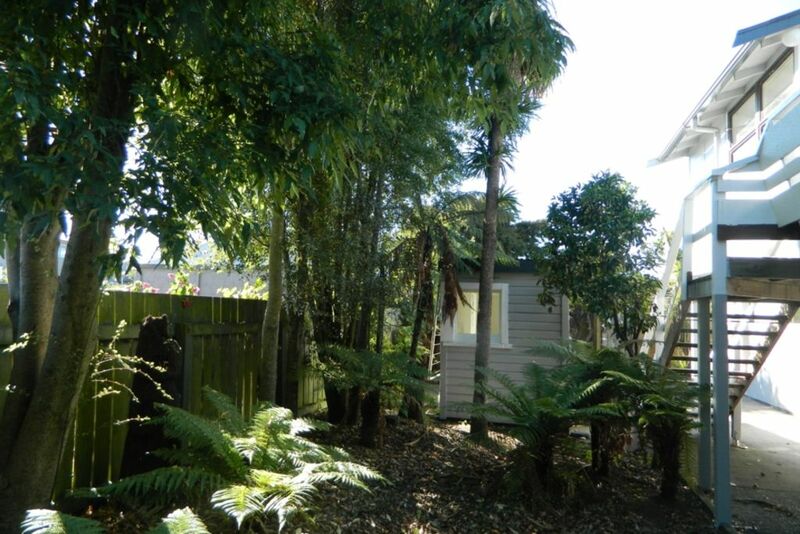 Privacy where you can sit, relax and unwind yet still only a short walk to the lakefront and the heart of Taupo with many cafes, restaurants and boutique stores to enjoy. Terrific upstairs open plan living area - lounge, dining room and kitchen. Ideal for events accomodation, or relaxed holiday for Families or a group of friends. The large spacious lounge and kitchen, dining are upstairs for all to relax and unwind after enjoying the many activities that Taupo has to offer. The separate laundry also contains a second toilet and shower. Short stroll to Lake and Town Centre. Offstreet parking for up to 4 vehicles. Living areas on 2nd level. We had a great time staying at this Bach- We had a group of ten and the set up worked really well for us. The bonus was that we were also really close to town so could walk to our event and also down to the lake for a swim. We had a great time staying here with 2 families, such a fantastic location, close to the shops and the lake! Kids loved it! House was clean tidy and had everything we needed. Perfect place to stay for our event we had in Taupo. Close to everything we needed. Will definitely being looking at staying here again when we are in Taupo. We found everything we needed here. The house was clean and tidy with a view of the lake. Location was quiet with easy access to town and the lake. Spacious living room, independent bed rooms, private car park and the nice kitchen are the beauty of the Bach. The owner (Dave and Judy) are friendly and responsive. We like their photos and Sports medals. The Bach is nearer to all the scenic and tourist places in the city Taupo. Great communication, easy to deal with, property left clean & tidy. Property was in a great location and had everything our group of 8 needed.